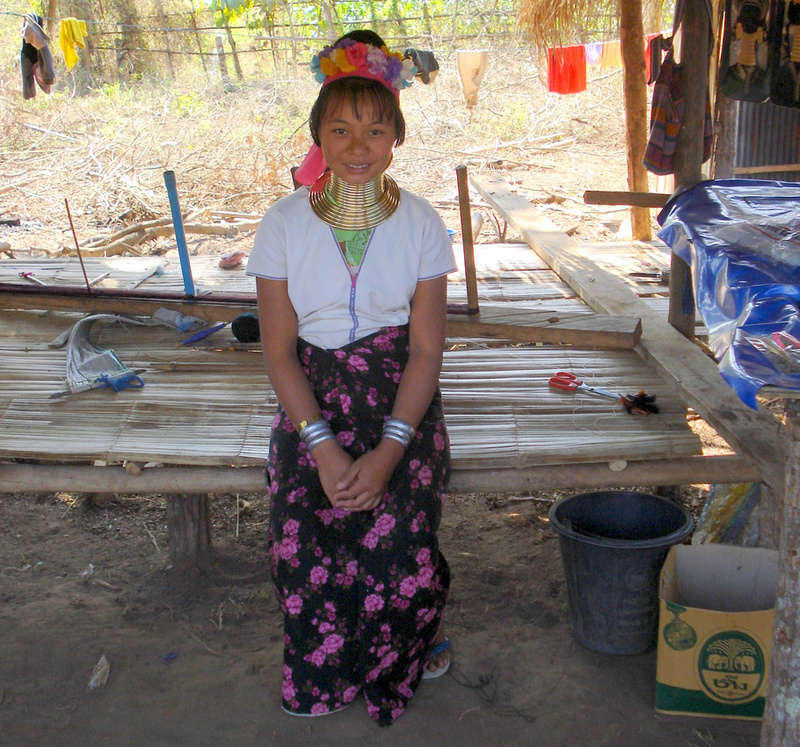 The long neck women are from Burma/Myanmar, and many live as refugees in Thailand. 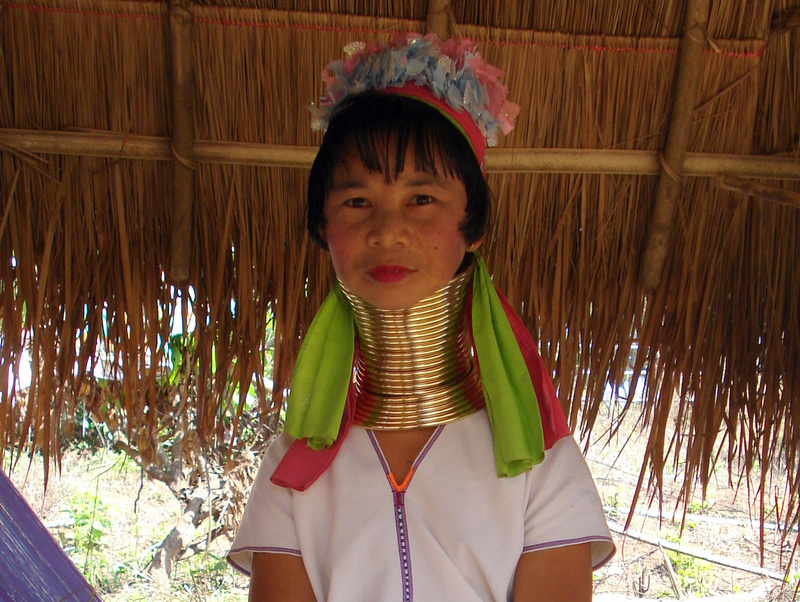 The long neck women are known as Padaung, a sub-group of the Karen tribe. The Karen tribe villages are near the Thai-Myanmar border, but there are also “villages” near Chiang Mai. 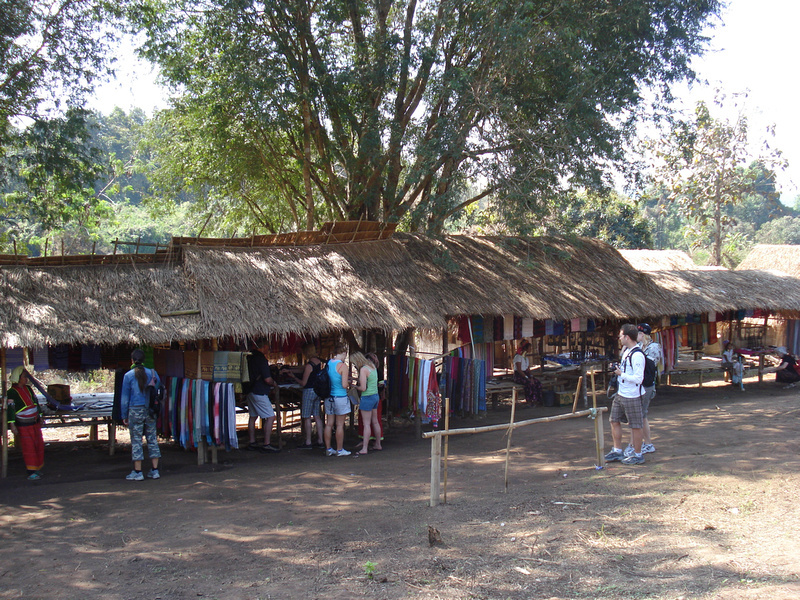 I say “villages” as they are really just market stalls set up for the benefit of tours from Chiang Mai. The long neck is actually an illusion. The brass rings don’t stretch the neck, it’s the weight of the rings pushing the collar bone down. Opinion is divided on these tours. Some say it is a like a human zoo, while others say that the money raised in the markets is money that these tribes wouldn’t have otherwise got. My conscience wasn’t helped by a story about the plight of the long neck women that was continually aired on BBC World the week I was there. It seemed to me though that both the tourists and the tribe are willing participants in this bizarre tour. I didn’t know these women still did this – it always seemed to be like something out of an old documentary.